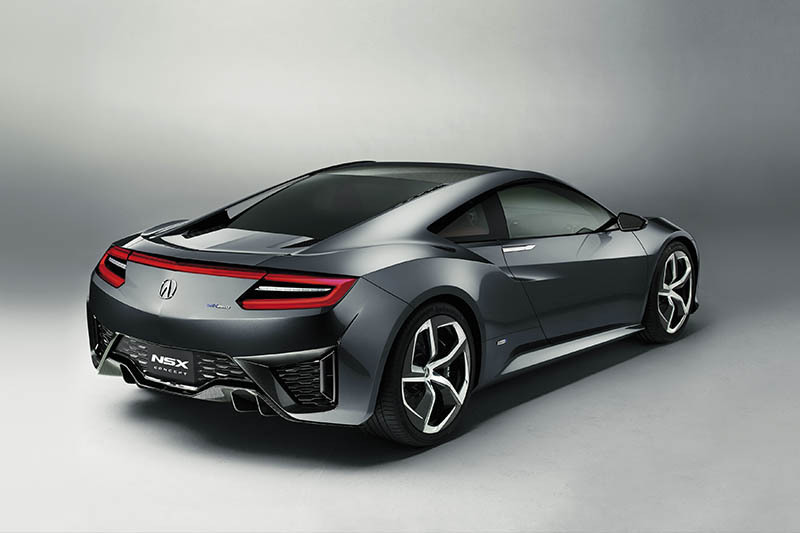 Hot on the heels of the Corvette unveiling at the North American International Auto Show in Detroit, Honda have showcased the latest evolution of their Acura NSX concept. Unlike the Corvette, that at least tries to hand down some of the family likeness to the new sibling, Honda have had no such qualms about a complete reinvention – mid-mounted V6 aside. This new version is little changed from the original concept shown off a year ago, with its low and wide stance, short overhangs front and rear and angular lines. But the body has has been subtly streamlined and adds carbon fibre elements, and the nose and tail have been lightly refined with new grilles. 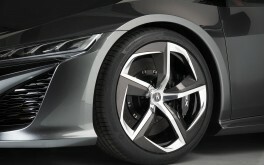 More angular, throwing-star shaped carbonated rims have also been added for 2013. The 3.5-litre V6 engine is supplemented by a full hybrid powertrain: what Honda call the Sport Hybrid Super-Handling All-Wheel-Drive, which is rather a mouthful. It adds three electric motors, one on each front wheel and a third integrated with the transmission and powering the rear wheels. All these systems are tied together with a torque management control system that dynamically delivers power where needed. A potential new plush interior treatment has been shown off, with a high central tunnel providing a clear definition between the driver and passenger compartments in the cockpit and a simple, driver-focussed set of instruments to minimise clutter. The original NSX really was a step away from the ordinary when it first realeased and I'm confident this next model is going to do the same. This and the Corvette really seemed to be the two sports cars I was most excited about at Detroit. Wait.. So it's not an Audi and it's Honda? Right? I'm impressed! Whilst I admit to being a Honda fan, I had become worried recently for the company: their closing of the UK plant made me more so this week so this concept is a welcome surprise! The Ausi R8 is ugly as hell. The new NSX has completely different proportions and looks really gorgeous. Finally, a hybrid I might actually care about. And finally, a Honda i might actually care about. And finally, a Honda that might actually be sporty. And finally, a Honda that might actually be fun to drive. And finally, a Honda that might actually be fun to drive, a hybrid that's cool, and a Honda that's sporty and available in the US without being neutered for the North American market. One can hope. Been awhile since US Honda fans have had anything to be excited about. We'll see though. Like the car , Hate the Lambo wheels !!! Hate it. Dont know why couldnt have just called it something else. 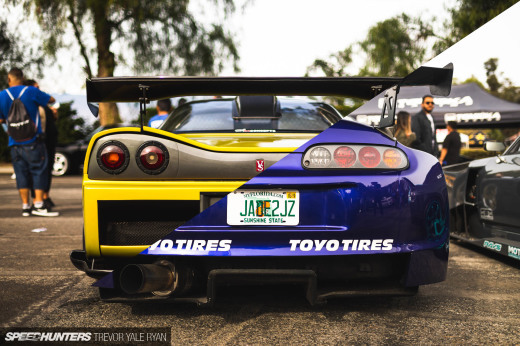 I wish Honda had the balls to create two halo cars; one for Honda and one for Acura. 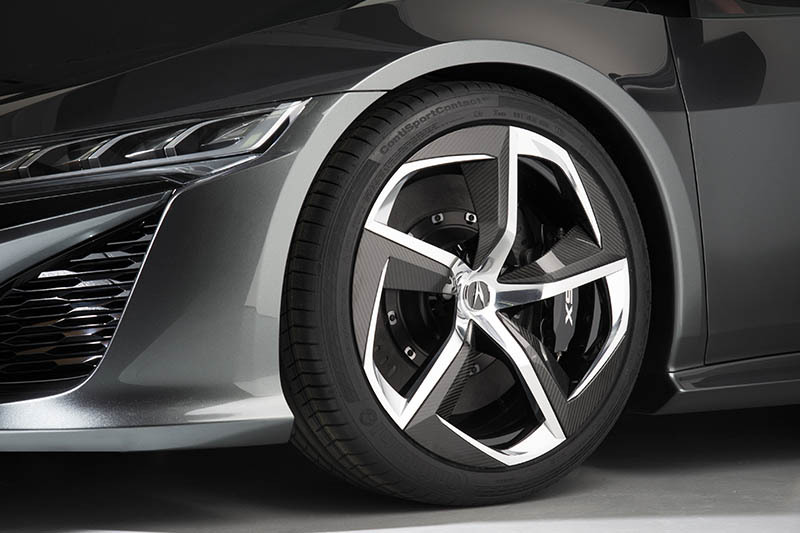 The NSX can be a plush everday supercar with superior driving dynamics, and stay true to the original NSX, except with a hybrid twist. That's fine, whatever. looks so-so i like the front, not so much back end. I love the front honestly. Not really a fan of the rear end, but the wheels kind of make up for it imo. They need to add a small trunk spoiler. Not a huge wing, something that goes over those tail lights. I feel like this is a complete miss on Honda's side. I'm all for innovation, but if you're going to bring back such an iconic car, have more than just 1 similarity. I love the car, but in my heart it's not an NSX. Its as far as possible from it. I feel like the front lights look too similar to the Citroen GT and the rear looks too much like the Aston Martin One-77. I'm not a huge fan of the looks in general. no no no nooooo where is the HSV 10 is my question for Honda-Acura? 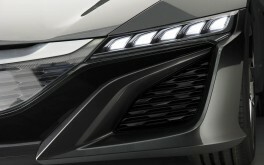 thats the New NSX, come on! 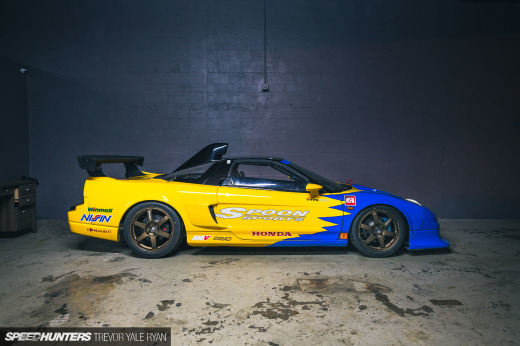 The original NSX was a pure driver's car. This "reinvention" has strayed far, far away from that. I'm sure that the concept is quite capable, but in my opinion, it is not fit for the NSX namesake. I'm not too thrilled with the whole hybrid thing and the more luxury oriented interior. IMO, it should be running with that HSV -010 and the interior should be very basic and light (not lacking quality, but just could do without all the fancy leather and what not). Make sure it isn't running those stupid digital gauges (which it will most likely be), and offer 2 models the base and a completely stripped out monster (type-R if you will). On the bright side, they have 2 more years to make changes/get feedback, so they better not screw this up! Well.....it's not special in design, that's for sure. The old NSX is still looking great today. This, in few years time, it would look like a fancy Audi R8. In tech department, it better be another Ayrton Senna to set this car, if not, we dont need another heavy supercar. Lambo is doing a great job. From HONDA we need something else. Handling beyond anything else. Thats it. If that would be the case, it would be a awsome car. 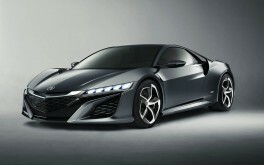 For god sake honda, rember what the nsx is about, light weight and super handling. Just build a road going hsv-gt10!!! Why dont you just buy a 2013 and rebadge it as Acura, cause thats what they did, added some anglular lines and called it a day..
Styling-wise i'd say decent overall shape, shame about the fashion-victim fussy detailing... and shame about the minging (that's English for fv@ing ugly) wheels. In short, the exact same criticisms i'd make for almost every other modern car. But it ain't no HSV -010 that's for sure. Mechanically-wise i'm all in favour of the hybrid drivetrain and props to Honda for their commitment to it. Just because it's hybrid doesn't mean it can't be stripped-down in other departments & fully driver-focussed. So why not apply the logic above to a road-going HSV -010? Ehh it looks like a hard edged R8. I also feel like the back could have used a bit more aesthetic attention from the designers. don't put those wheels on, get rid of the hybrid. if not i'll save for the old nsx. The proportions are exactly the same of an R8. This is a design you could call "new" in 1980, not in 2013. I see a lot of old Mazda-ish design in the front, with that V shaped profile. The rear is just too "meh". Lots of unnecessary details, unnecessary lines, unnecessary angles. The NSX should be simple, because simple things work better for a sports car. fu .. why same lines as R8 ? @Chris Nuggets "...sport coupes (RSX/Integra)." And re-introduce double-wishbone suspension up front, including the Civic, on which these two were based. @FunctionFirst You never driven an older Honda before? @TougeSpirit Do you know the word "proportion" in car design? Well, proportion is everything in a car, it makes the car: this NSX has lot in common with R8 proportions, which is not a bad thing, but you can be sure is not innovative, at all. About aero then: the F12 Berlinetta has the most innovative aero surfaces in the industry right now, but it is not so complicated, or overstyled like this NSX. Plus, can you give me the CFD data of this new NSX, so I can effectively know it NEEDS all this "airflow control"? 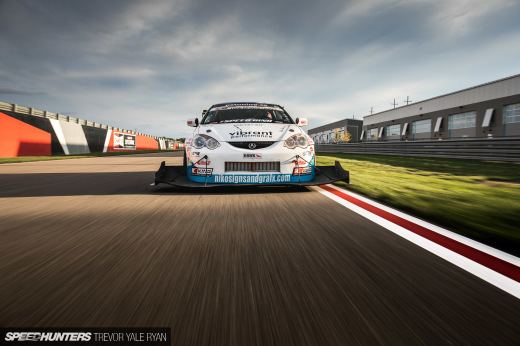 Remember, not every car in this world needs to do Time Attack. @TougeSpirit The F12 is a high performance GT, the P1 a hypercar, no way to make a comparison. The F12 is beautiful and functional at the same time, that's my point. Things that work do not have to be complicated: I am not speaking about "how much downforce" but the right downforce for the purpose. 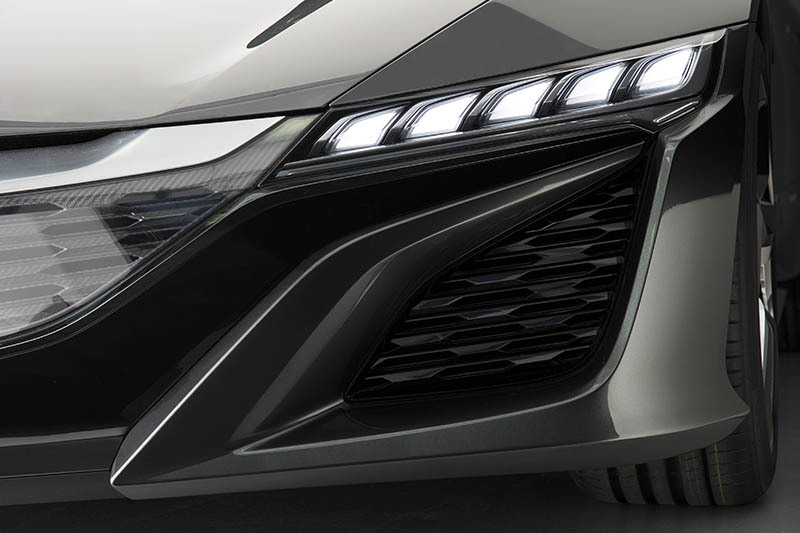 This new NSX is not a Group B or LMP car, so it doesn't need that kind of attention to airflow: what they did is just overkilling a design, that could be reduced to a simpler and more dramatic shape.Then there is the styling: how come the NSX design philosophy became a plethora of edges? Where is that beautiful rear end composition of the first series? The first NSX was clean, fluid and focused while this is just some katana hits on aluminium.We are speaking about a road sports car that is a legend for lots of people: you can't just decide "Ok this is the new NSX" and draw three lines on paper.I can't see where this links back to its predecessor, that is the problem.I am a car designer btw, currently intern in a racing car manufacturer. @FrancescoDiGiuseppe A GT car can certainly have much more downforce than the F12. No problem whatsoever. That's now getting beside the point. 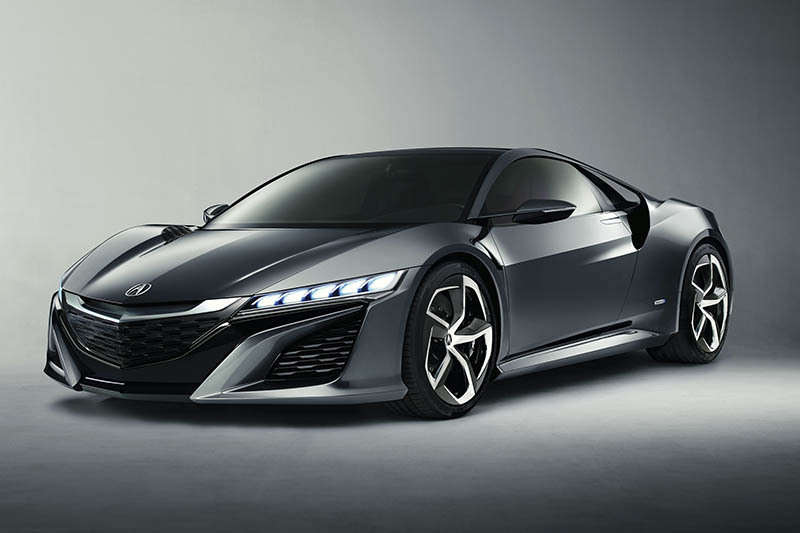 Somehow this is not how I hoped the new NSX would look like. NSX; where always awesome. This just isn't. Looks like a dull stretched Audi TT or something.